Home is under-construction and the expected completion date is Apr 16, 2019. The Brand New Amelia floor plan is located in the beautiful Cape Coral. 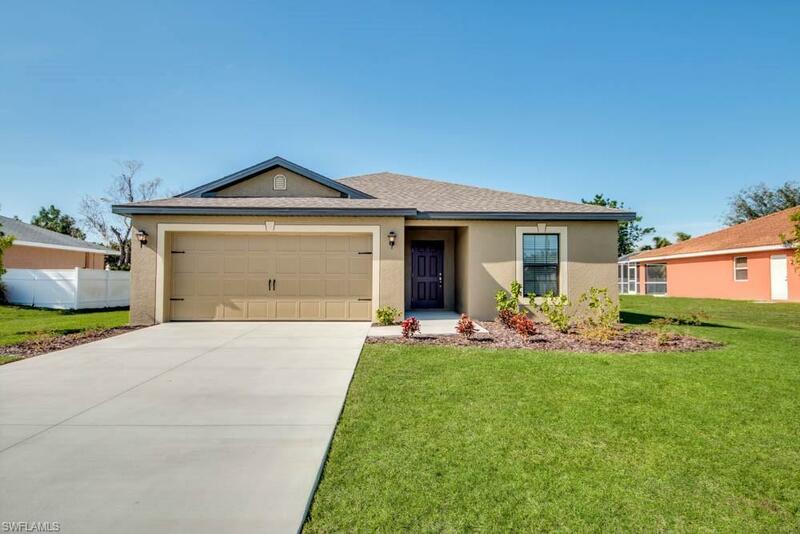 This spacious one-story home features 3 bedrooms, 2 baths, and is 1,401 square feet with a 2 car garage. Included in this beautiful new home, are new appliances, custom cabinets, sprinkler system in front and back yards, and a Homeowner Warranty. Listing courtesy of Joseph Boyd of Florida Realty Hub Llc.